Consider joining the RECAMFT Team! Have fun with your colleagues, while providing a great service to our community. Above: Bob Dalzell won the 2015 Chapter Leadership Award at the CAMFT Chapter Leadership Conference in SoCal. 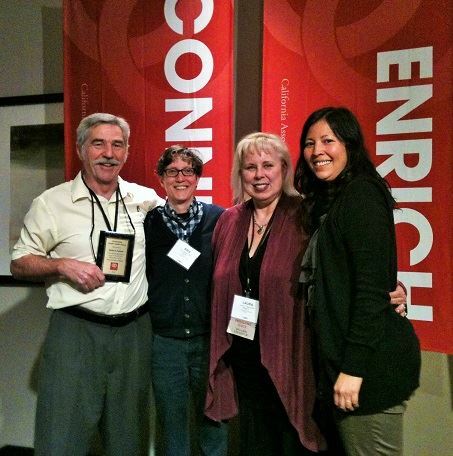 L-R: Bob Dalzell, Kris Spangler, Laura Strom and Kim-Lien Chavez. Cynthia Halliday (second from the right) is part of a panel of speakers from top chapters at the state CAMFT Chapter Leadership Conference about what has made RECAMFT successful, San Jose, California, March 2014.